It is always a great pleasure when two great things combine, and that’s exactly what happened in Egypt. El Gouna, our beautiful Red-Sea haven, has hosted El Gouna Squash International Open, one of the top squash tournaments worldwide. So what’s the other great thing we’re talking about? 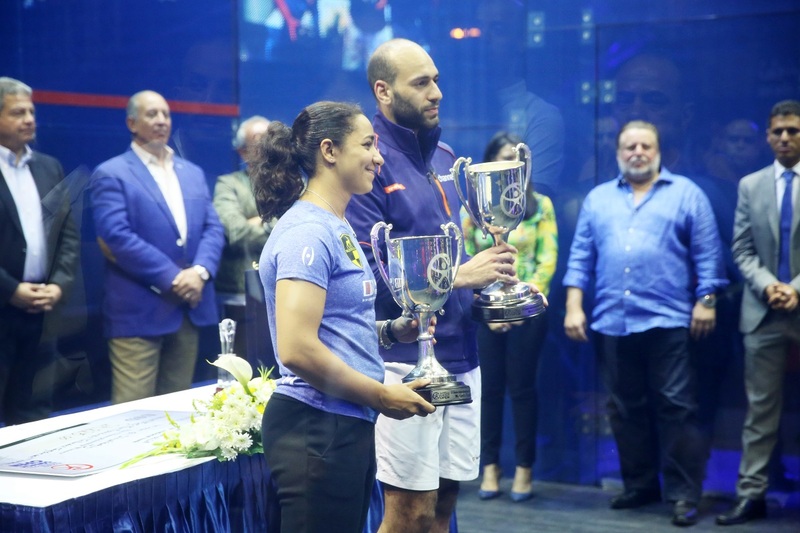 Well, that’s our Egyptian female and male champions who are once more proving their dominance in squash. 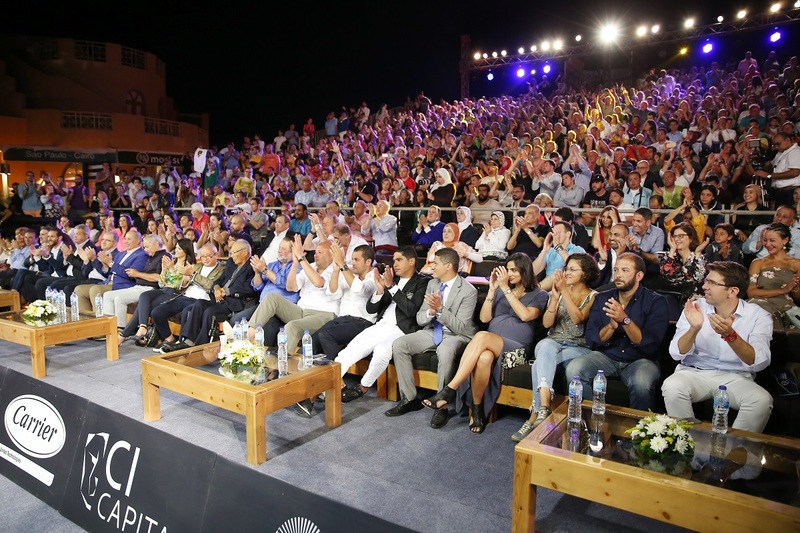 AAIB was the sponsor of this tournament, and this marks the 7th time that they’ve sponsored this grand event, El Gouna Squash International Open, which is, incidentally, considered to be one of the top squash tournaments in the world. Entering the tournament, Egyptians dominated the top rankings of squash players internationally. While there were 4 women in the top 10, there were 7 men in the top 10 ranking. Notice a pattern here? It was all about the magical number 7 in this year’s tournament. Our Egyptian male and female athletes have been doing their job, and giving their all to improve as squash players, and they’ve been succeeding. And because of their hard work and success, we must support these great men and women, just like AAIB has always and will always do. Throughout the tournament, they’ve been campaigning for our athletes and encouraging Egyptians to show support for those wonderful squash players. We should be proud of our people representing us through squash in worldwide tournaments, they’ve earned such high rankings by winning the most prestigious international competitions, and El Gouna’s was no different. Our Egyptian athletes showed their skills by giving us an all-Egyptian final in both men & women competitions. Marwan El Shorbagy triumphed over Ali Farag, while Raneem El Walily snatched victory against Nour El Sherbini. 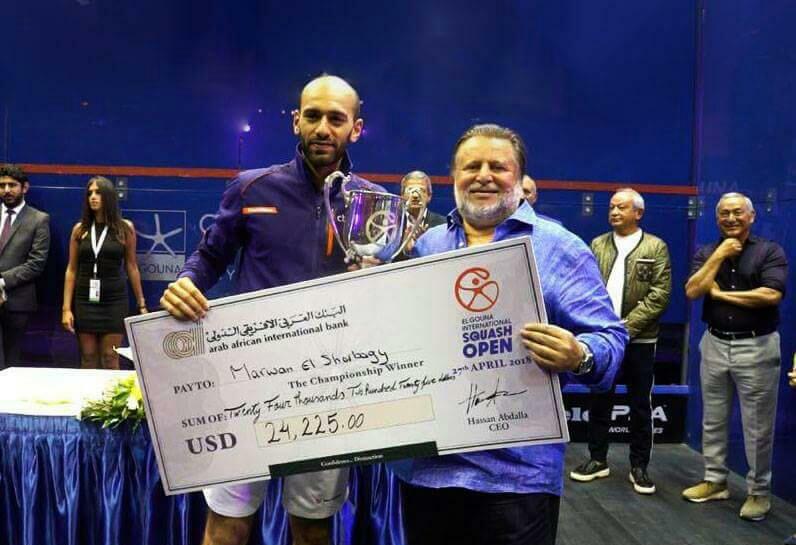 As part of the bank’s support to the sport, the CEO of AAIB, Mr. Hassa Abdalla was in attendance during the tournament, and he personally handed the prize (a cheque of $24,225) to the winner, Marwan El Shorbagy.